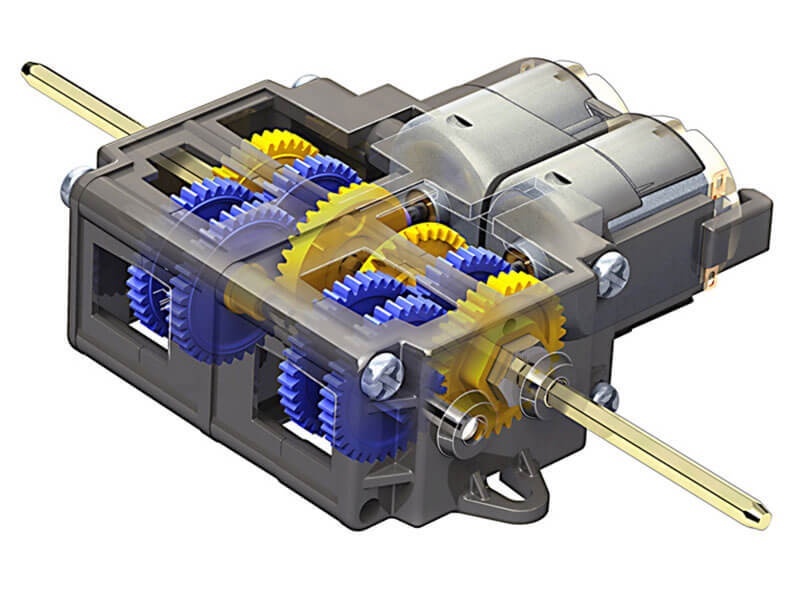 The Tamiya double gearbox is a compact unit with two independent motors and gear trains. The kit includes two motors and all gears and parts to build any of the four possible gear ratio configurations (12.7:1, 38:1, 115:1, and 344:1). Although it is not typical, it is possible to assemble each side with different gear ratios. There are two possible output axle locations (for any given gear ratio, only one output location is possible).